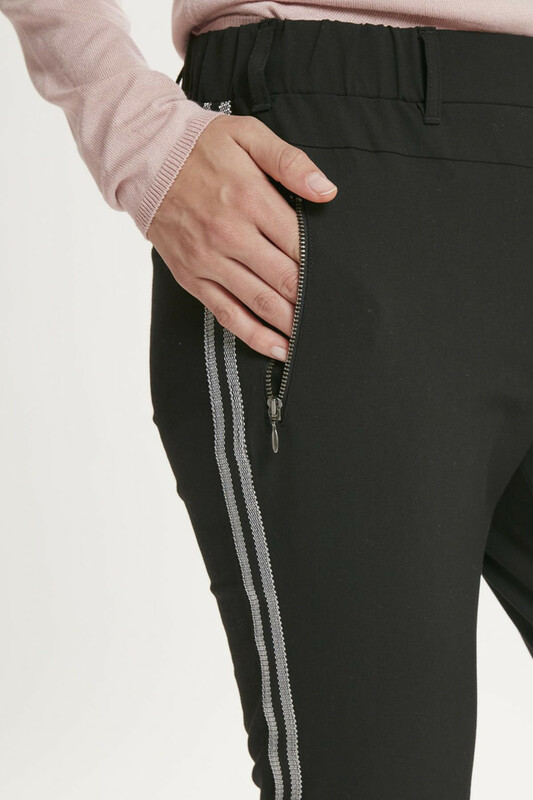 Stylish and classic pants, with a touch of sporty, because of the detail along the pants sides. 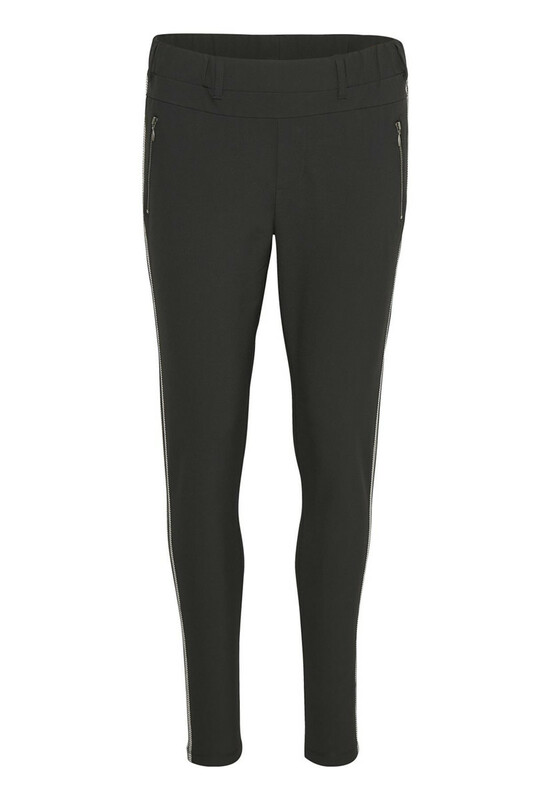 The chic trousers have elastic waistband, belt loops, zipper pockets on the front and jetted pockets on the back. The pants can be styled with a blazer for a more business-like look or with a white T-shirt for a more casual look.